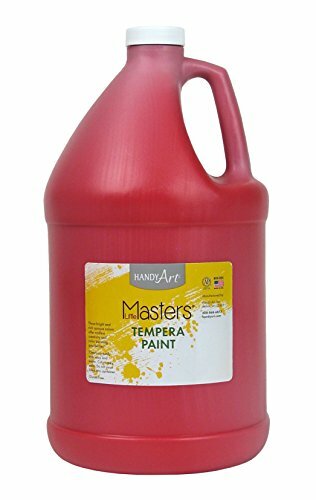 Handy Art little masters tempera paint is a fine quality and economical choice for the younger artist. These brilliant and rich opaque colors are smooth flowing and won't chip, flake or crack when dry. Cleans up easily with soap and water. Certified AP non-toxic. Made in the USA. If you have any questions about this product by Handy Art®, contact us by completing and submitting the form below. If you are looking for a specif part number, please include it with your message.